BRIAN SOUCY was born in Great Falls, Montana. Brian was raised in Montana, Minnesota, and California before residing in the great state of Idaho. He is the oldest, in a family with 3 sisters. Brian is engaged and together they have 2 dogs named Maxwell and Jaxton. 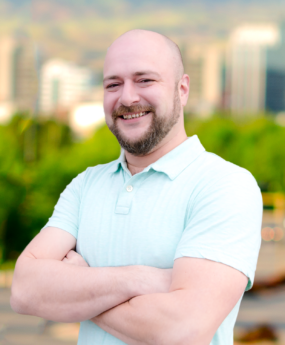 After Brian moved to Idaho he furthered his education at Stevens Henager College in 2012 with an Associates Degree in Information Technology, from there he entered the world of Real Estate. Brian comes from a long line of customer service and detail-oriented work. He has a deep passion for helping those in need. This passion drives him to provide the top service to all of his clients. Brian is a valuable member to the City of Trees Team!